Join the fastest growing real estate company in the world! There must be a reason that people want to join Keller Williams. We believe that it is about lining our own pockets and not that of the owners. We are encouraged and trained to grow our individual businesses under the umbrella of KW. They provide the models, systems and tools necessary to become successful. We aren’t thrown out to the wolves with no idea what to do. You have to be willing to plug in to the systems and learn and do what needs to be done. Everyone helps each other because it is important to all of us to have a growing market center. I can show you how you can earn more than 100% of all of your commissions. Click here for more information. Does that sound too good to be true? It is too good to be true! But it is true. If you are going to be successful in the real estate business you have to realize this is not a “get rich scheme”. It is a work smart, consistently and on purpose in everything that you do. It takes time and you are going to have to work. If you are your own boss, would you fire yourself? We have all of the training to help you reach whatever goals want. To put our money where our mouth is, we have a Productivity Coach that will help you with your map. We have been named the #2 training company in the world — across all industries—by Training Magazine. We believe in a constant and consistent personal growth plan and we provide the methods and tools for that to happen. All you have to provide is the work. That sure if easier than if you had to re-invent the wheel! We have on-site training, regional training, national training, and international training. and many trainers that come to us onsite. Agents from other companies come to learn from our trainings. Everyone is welcome. We have a youtube channel covering every aspect of any questions that you may have. We have a contact data base system, a pre-set campaign system to systematically stay in touch with the people in your database. These campaign can be personalized to you or you can use the canned version. We believe in saving trees. Everything is done electronically. marketing materials that promote you and not Keller Williams Realty. You will not see any advertising, ever, by Keller Williams Realty. Our philosophy is that we don’t want KW to be the “big shot”. We want you to be the big shot. We all have our own personal search app. 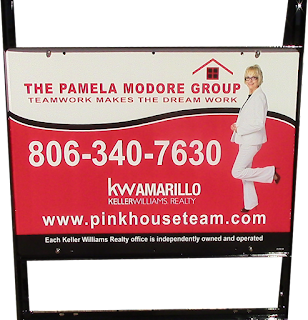 Instead of your clients downloading Realtor.com they can download Pam.com or whatever your name is. It has some very cool features and if a clients wants more information about a property then can contact you directly from the app. realtor.com search that you can give to your clients and if they see a property that they are interested in they can contact you directly from the app. Cool features. It’s is just another perk that KW give us. Some people say that it is expensive to come to Keller Williams. We have a $57 a month fee. That fee covers a number of things. One of the big ticket items it covers for $15 a month is your errors and omissions insurance. Other companies charge a per transaction fee. I have heard that that fee is as much as $75 a month. We don’t do it that way. Everyone pays $15 a month right across the board. And, after all, if you are running a business you will want the least cost for the most value. The other $43 covers all of your technology, database system, website, electronic system and daily training. That doesn’t sound too expensive to me. I have a sheet that tells you all about it. When we meet we will go over each detail specifically. The Board of Realtors/MLS has about a $90 a month fee. Here at Keller Williams, we bill each agent the $90 or so a month fee along with the $57 fee that goes to us. We then pay your bill to the Board of about $90. Some real estate companies only collect the fees when you have a closing. In my view, that is a very bad business practice. If you don’t have a closing, the owner is stuck with paying your bill. At KW we want you to pay your bill. We want you to be a stand up business person that has planned for the future and budgeted your expenses. Of course, the other reason refers back to me showing you how to earn more than 100% of your commission on every deal. I teach this class periodically. Or I will tell you in person when we meet. So if you want to join the fastest growing company in the world, interview with KW even though you may be thinking of joining another company–just give us a chance.